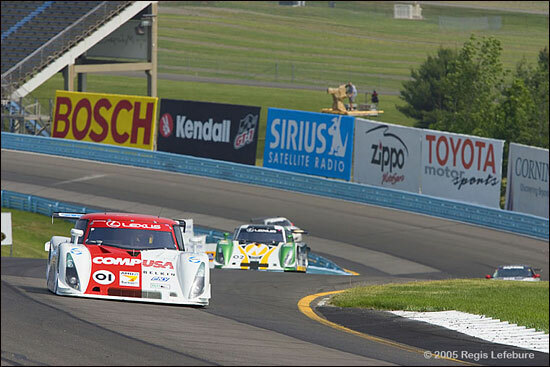 The Grand Am series resumes its intense schedule with a 6 hour race on Saturday, at one of the most historic tracks in North America, Watkins Glen. Unlike the race this past weekend at Lime Rock, this endurance event will feature both classes, in an attempt to create a continuation of what used to be a classic event for endurance sportscar racing. As of this writing, 27 Daytona Prototypes and 22 GT cars are entered and as usual for this track, there is a chance of rain in the forecast for the weekend. The track will be shared with the IRL, fresh off of their major event of the year, the Indy 500. Now that the Rolex Series has put the qualifying race system behind it, the competitors can concentrate on a proper qualifying on Friday, to be followed by a true and proper endurance race format. Because of the length of the event, some teams are incorporating a third driver, and some of those additions are significant. Among them are Stefan Johansson, to join Milka Duno and Marc Goossens in the revised and revamped SAMAX CITGO Riley Pontiac, Ryan Briscoe to the SunTrust team and the much heralded GA debut of Al Unser Jr., in the Synergy Racing Doran Porsche. Looking to add to their recent lead in the points is the Chip Ganassi led CompUSA pairing of Scott Pruett and Luis Diaz, who have managed to keep below the radar just enough to not feel the wrath of the rules makers of Grand Am, in their Lexus Riley. But their lead is not significant enough that they can relax, as nipping at their heels in the points championship is Jorg Bergmeister, who is quietly having a very strong and consistent season in the Krohn Racing Riley Ford, trailing by only 7 points. 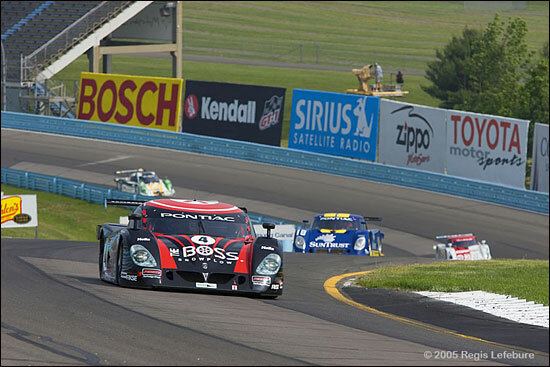 Success at Watkins Glen is not foreign to the Krohn team, as they finished 1-2 last year at this event. For as strong as some consider the Ford engine to be in this series, it is rather surprising that no Ford powered cars have broken through to win a proper race this season, excepting the win by McDowell/Cosmo in the VIR 30 minute qualifying race. Pat Long, one of the drivers for Job adds, “Watkins Glen is a track with a lot of history and a six hour win is something I would like to add to my list of racing accomplishments. The track layout really suits our Porsche-powered Crawford. It will be up to Mike and I to get the setup right, but this type of track is where we excel. The race is somewhere between a sprint and an endurance distance, so we will be pushing in every session and throughout the entire race.” If there is rain, expect to see this team up front, possibly way up front. This race will also see somewhat of a Dyson reunion on their own turf, as Rob and Chris are entered in one of the Boss Crawford Pontiacs, with Guy Smith, and they will be teamed with Andy Wallace and Butch Leitzinger in their usual entry. Chris Dyson loves Watkins Glen: "No matter how things are going in life, this place reminds me why I love this sport so much." In the GT race, it basically comes down to two questions. How will the GTOs perform and how will traffic and contact influence the race? Logic has it that the Wolf Henzler / Robin Liddell Tafel Porsche should be able to challenge for the lead, but do the Pontiacs just have too much of an advantage, as evident from their dominant performance at Lime Rock? 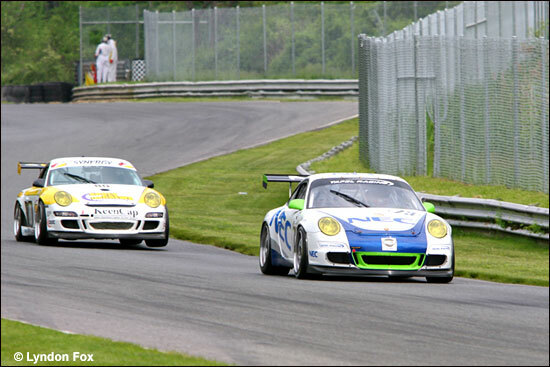 Watkins Glen might be more suitable for the Porsches. 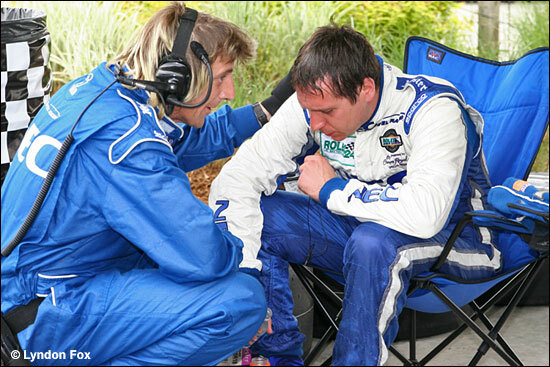 This is Wolf Henzler at Lime Rock – being tended by Rod Stewart (aka Tafel mechanic Paul Caves). As far as the traffic and contact, who knows? This series has been so inconsistent this year as far as carnage, you never know what to expect. At Phoenix, the main race was surprisingly clean, considering the track, while at Laguna, you would have thought professional wrestling took over. With this being a longer race on Saturday, logic would make you think it may be a little gentler as far as pushing and shoving, but tossing in the layout of the track and the possibilities of rain, you just never know. It could just as easily become another race in which the carnage takes a toll. It is hard to say. Maybe it will all come down to a black (box) science and a few more revs.